Hi! It's Kristyn from Lil' Luna! 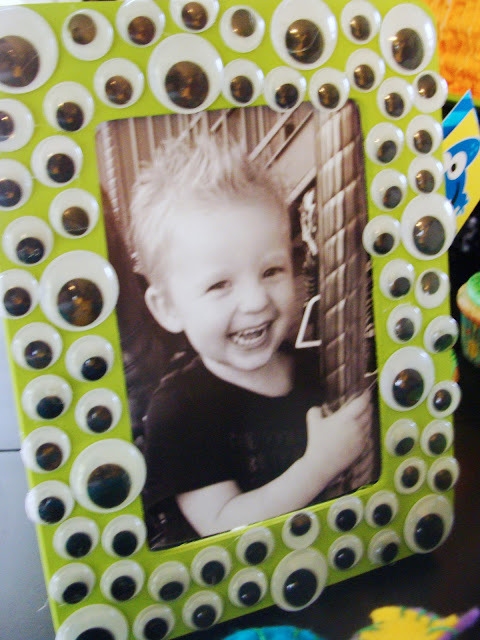 Amanda posted yesterday about my little one, Gavin's Monster Birthday party. So much fun stuff went down at that partyand I couldn't have done it without Amanda! She's the best, and was my biggest helper! 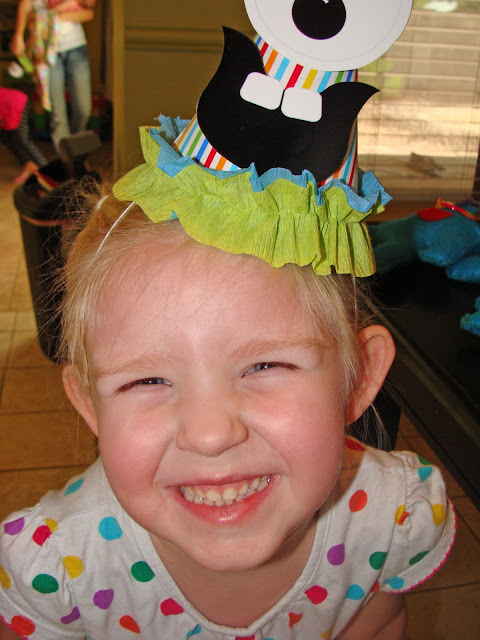 With her Monster Bash Party Collection I was able to make some fun, easy and cute crafts for the party including Party Hats and Party Bags. They were simple to do. 1. Begin by taking one or two (I used two) strips of crepe paper and sew a straight stitch down the middle. Some machines will ruffle it on it's own, but mine doesn't, so I was sure to leave the stitch open at the end. From there, you pull one string and scrunch it as you go, which ruffles the crepe paper. 2. From there you can hot glue the crepe paper all around the bottom of the party hat and glue on your monster parts. 1. Paint your frame and let dry. 2. From there you will hot glue the eyes all over the frame. Another easy but fun thing to do. What I've learned is it's all in the DETAILS! Simple but cute things like these can make a party FABULOUS! 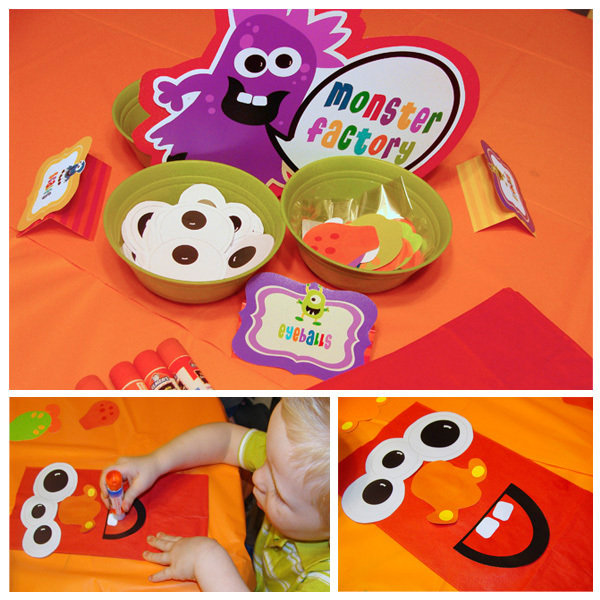 Thanks again Amanda for helping to make such a fun and memorable party for my little monster! Just found your blog and cannot believe that you are in Auburn!! How exciting. Can't believe that I have not heard about this yet! 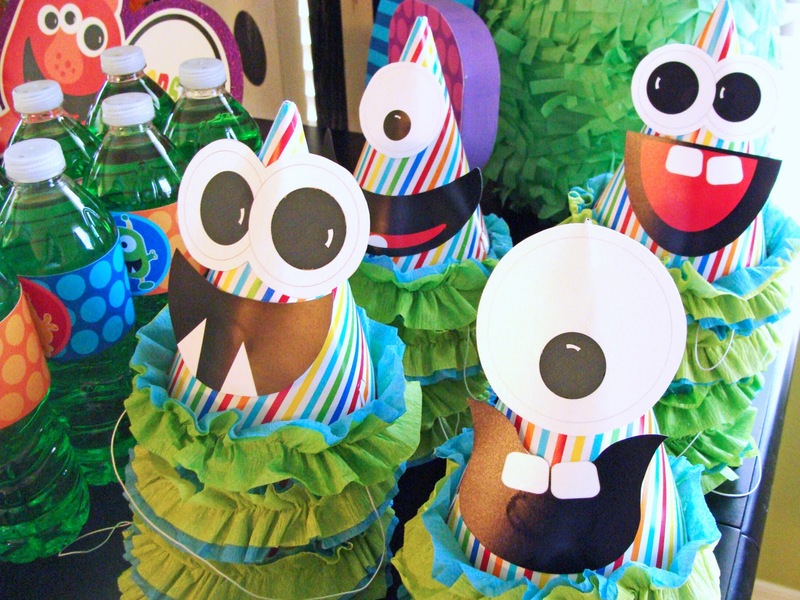 Definitely excited about Brock's 3rd birthday party in May...now just need to decide on a theme!! Hi Katie and WAR EAGLE! Love my Auburn girls - glad you stopped by!